We will need our cup of coffee now! There’s no need to feel guilty about your morning cup o’ joe. On the contrary: People who drink four or more cups of coffee a day have up to a 20 percent lower risk of melanoma than those who sip the dark stuff less often, according to a 2015 study in the Journal of the National Cancer Institute. 1. Stroke. People who consumed higher amounts of coffee (and/or green tea) each day showed a lower risk of stroke when compared to those who rarely consumed the beverages, according to a 2013 study published in the journal Stroke. 2. Diabetes. People who increased their coffee consumption by more than one cup per day over a four-year period had an 11 percent lower risk of type 2 diabetesover the following four years compared to those who did not change their intake, according to a 2014 study led by Harvard School of Public Health. The researchers also found that decreasing coffee intake by more than a cup per day resulted in a 17 percent higher risk of type 2 diabetes. 3. Stress. Does the smell of a rich French roast seem to wake you up on a sluggish morning? Turns out the aroma may help minimize the effects of sleep deprivation on your body. A 2008 study published in the Journal Agricultural and Food Chemistry found that when stressed-out, sleep-deprived rats simply smelled coffee, they experienced a trigger in gene activity known to protect nerve cells from stress-related damage. 4. Tooth decay. 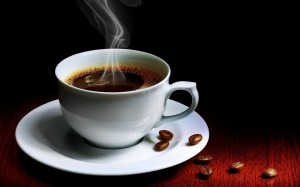 Although sipping a cup of java doesn’t mean you can ditch the floss, coffee may help boost your dental health. A 2009 study published in the Journal of Conservative Dentistry found that black coffee can help prevent tooth decay — the scientists behind the study advised that additives like milk and sugar have a counterproductive effect. 5. Parkinson’s disease. If Parkinson’s disease runs in your family, here’s some promising news: A 2007 study conducted on people with a family history found that those who drank coffee were less likely to develop the debilitating neurological disease than those who didn’t drink the brew. A 2000 study published in Journal of the American Medical Association also demonstrated the protective effects of caffeine without a family history as well: This research revealed a significantly lower occurrence of Parkinson’s disease among participants with higher coffee and caffeine intake. 6. Breast cancer. Women who drank boiled Scandinavian coffee, which is similar to stronger French press, Turkish, or Greek varieties, more than four times a day had a reduced risk of breast cancer when compared to women who drank it less than once a day, according to a 2010 study published in the journal Cancer Causes & Control. 7. Heart disease. Drinking 3 to 4 cups of coffee per day can lower your risk of developing clogged arteries, an indicator of heart disease, according to a March 2015 study published in the journal Heart. A 2006 study published in The American Journal of Clinical Nutrition, which tracked 27,000 women for 15 years, also found that post-menopausal women who drank 1 to 3 cups of coffee per day lowered their risk of death from cardiovascular disease and other inflammatory diseases. 8. Throat and mouth cancers. Although the research on coffee’s cancer-fighting properties has been mixed, a 2012 study published in the American Journal of Epidemiology found that the caffeinated kind may guard against death from throat and mouth cancers. Compared with coffee abstainers, those who drank more than four cups daily had about half the risk of death from certain mouth and throat cancers.